Library collections have changed. However, the technology currently available restricts librarians' ability to address this change in workflow. Socrates believed, the secret of change is to focus your energy, not on fighting the old, but on building the new. 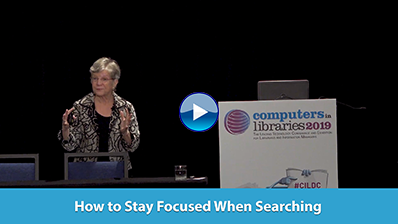 In this webinar, ProQuest will describe how we are focused on building the new as we continue to develop a comprehensive and modern library services platform. We will share how we plan to help transform library management and provide your library the opportunity to change. Paperity, "The first multidisciplinary aggregator of Open Access journals and papers," launched on Oct. 8. The database currently includes more than 350,000 open access (OA) articles from 2,200-plus scholarly journals that are categorized as either gold (journals that are completely OA cover to cover) or hybrid (subscription journals with some OA articles). According to the blog post announcing Paperity's launch, the organization's goal is to aggregate 100% of OA literature in the next 3 years with the support of journal editors and publishers. SirsiDynix released a new module for its BLUEcloud Suite LSP: BLUEcloud Cataloging, which is designed to accommodate new media and technology, increase staff efficiency, and streamline the process of enhancing bibliographic data. The company will add features as it receives feedback on this new module. Mendeley joined forces with writeLaTeX, a free service for creating, editing, and sharing scientific ideas online. Now users of these tools can import their reference libraries directly from Mendeley into writeLaTeX to manage their references and citations—allowing them to "cite as they write." The Centre for International Governance Innovation (CIGI) published a resource on the challenges and opportunities for global internet policy and governance. This "briefing book" was created to support the Global Commission on Internet Governance, a 2-year initiative from CIGI and Chatham House that "will produce a comprehensive stand on the future of multi-stakeholder Internet governance," according to the press release.